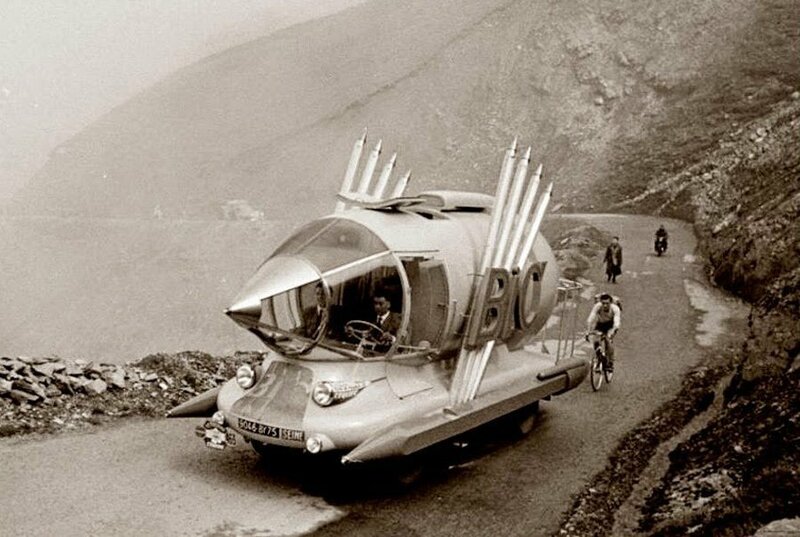 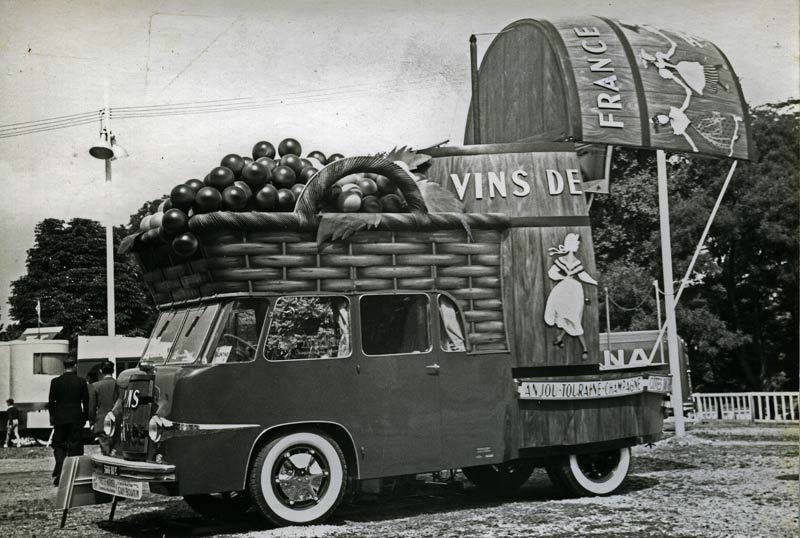 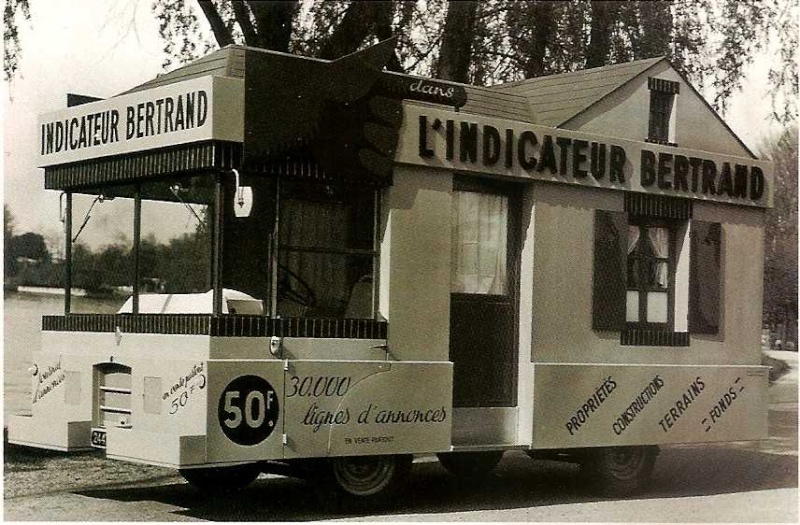 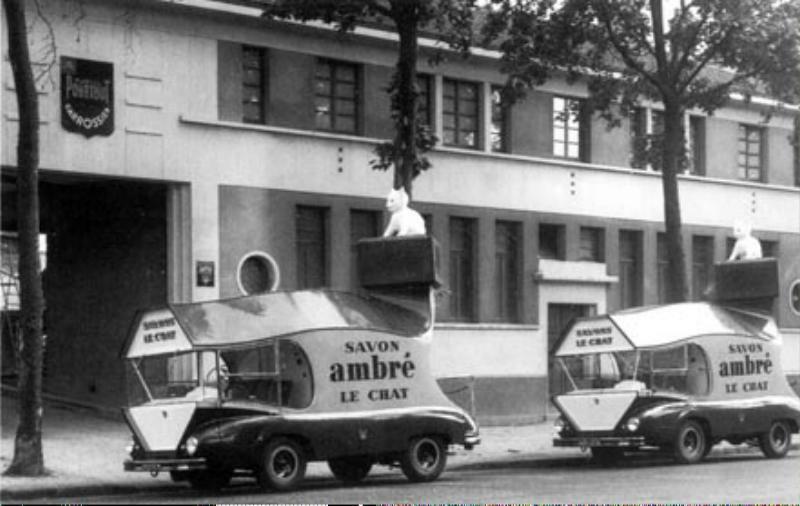 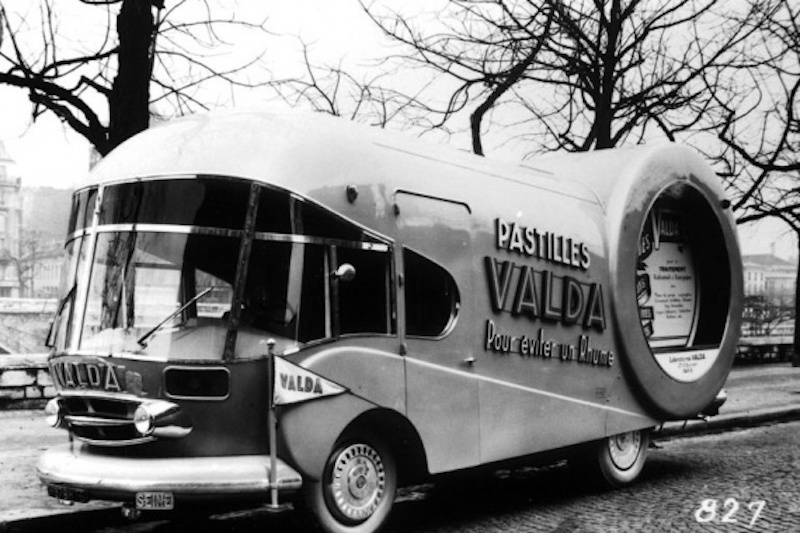 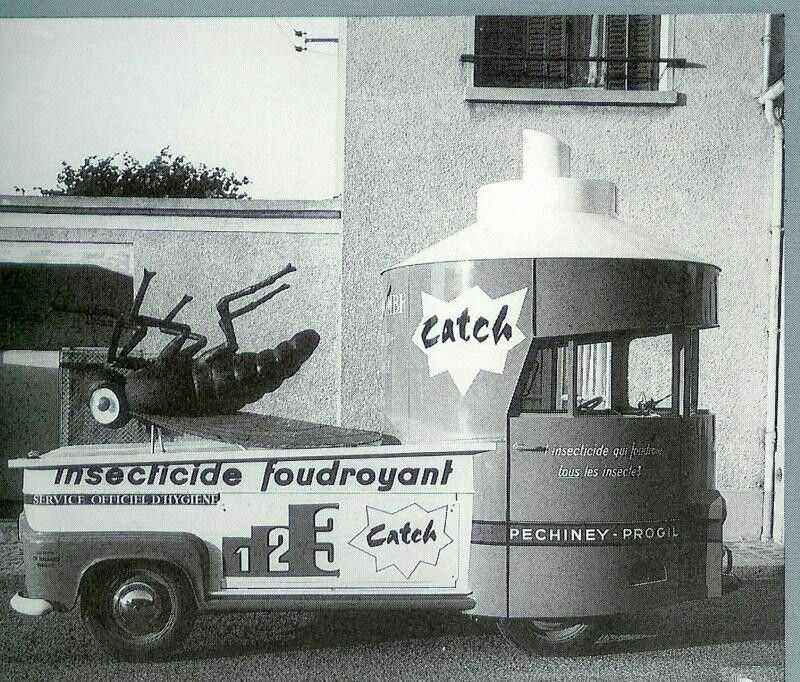 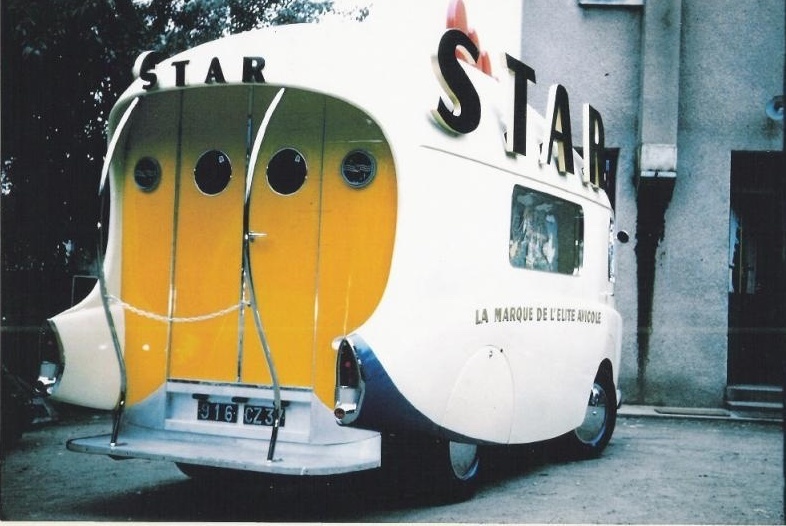 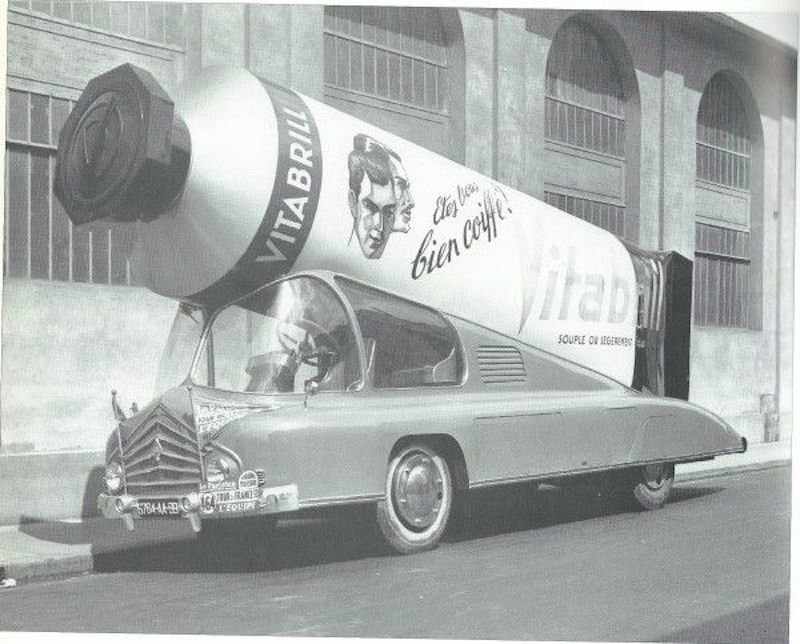 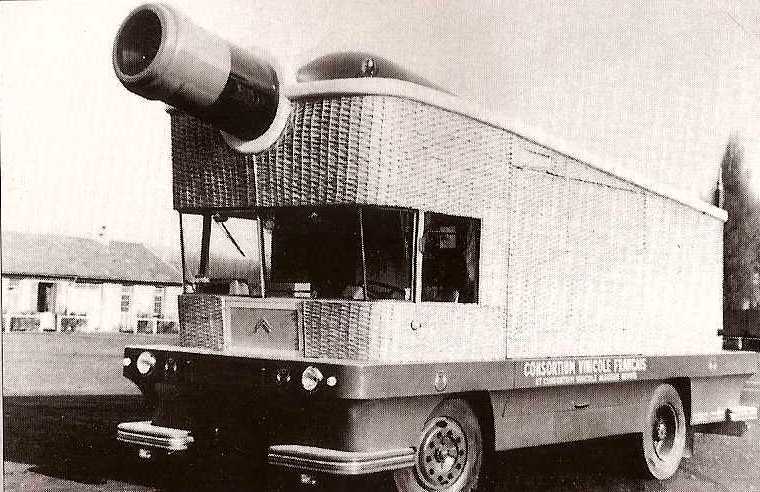 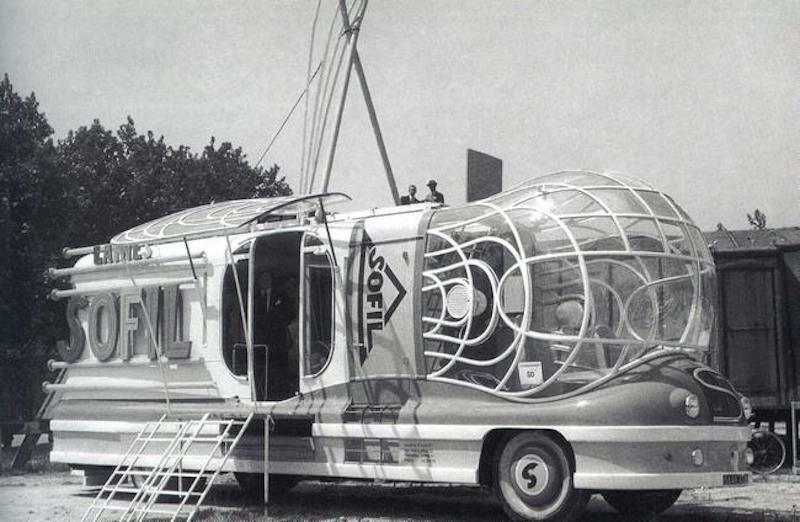 My wormhole began with this photo of the world’s first (possibly only) vehicle-shaped pen, the BIC mobile, photographed at the Tour de France in 1953. 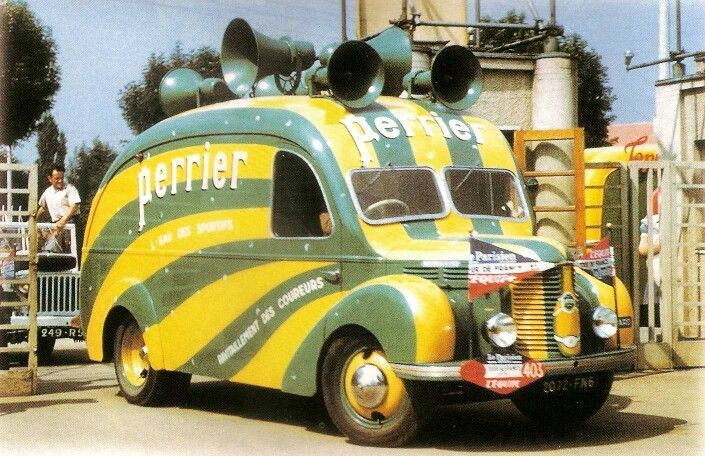 I’ve never been an avid follower of the annual cycling race that was created in 1903 by a French newspaper as a gimmick to sell more papers– but this? 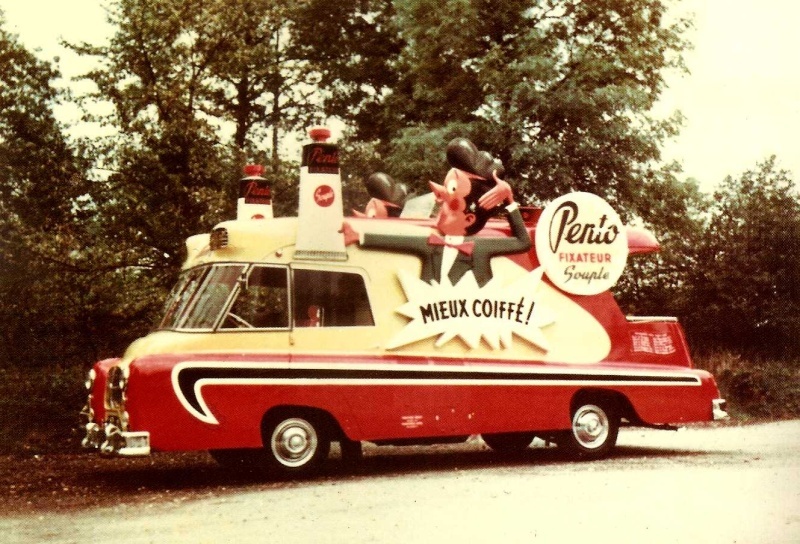 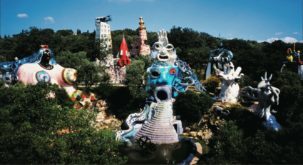 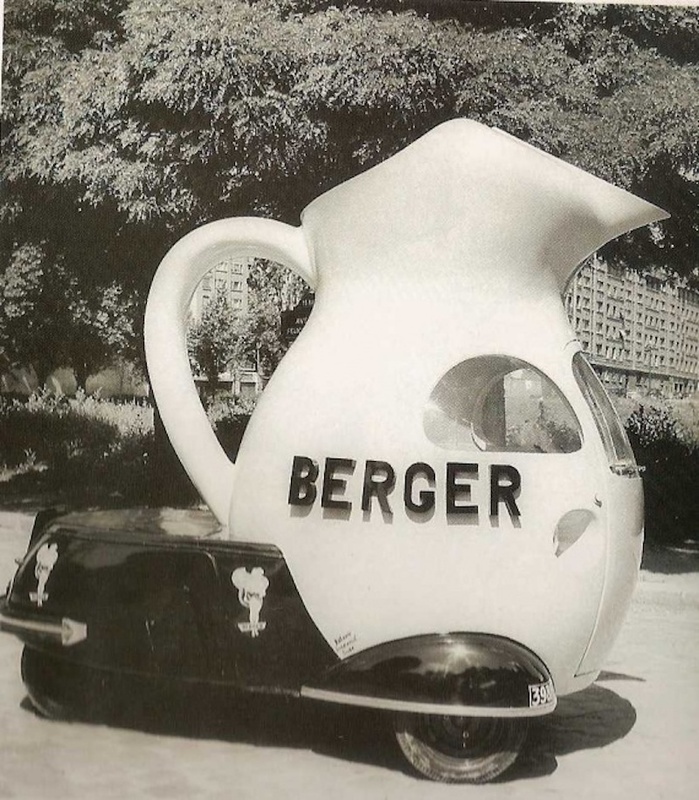 Give me a parade of the wackiest concept cars and publicity vehicles, and you’ve got my attention! 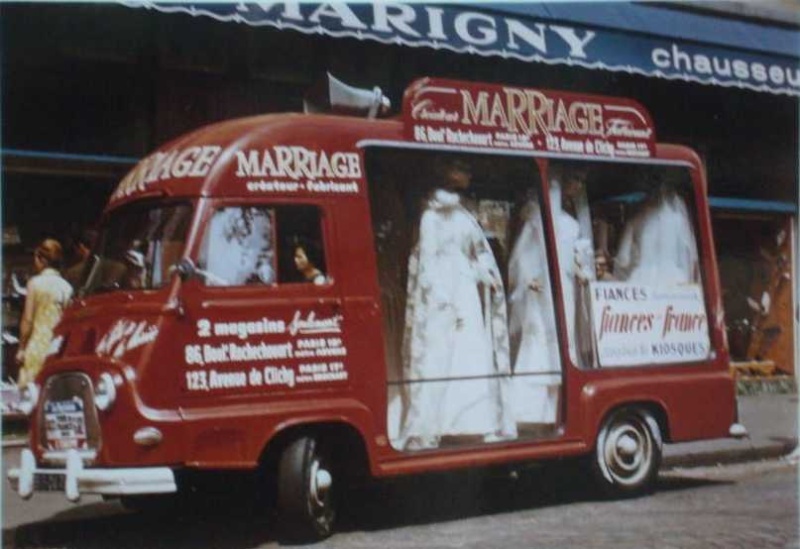 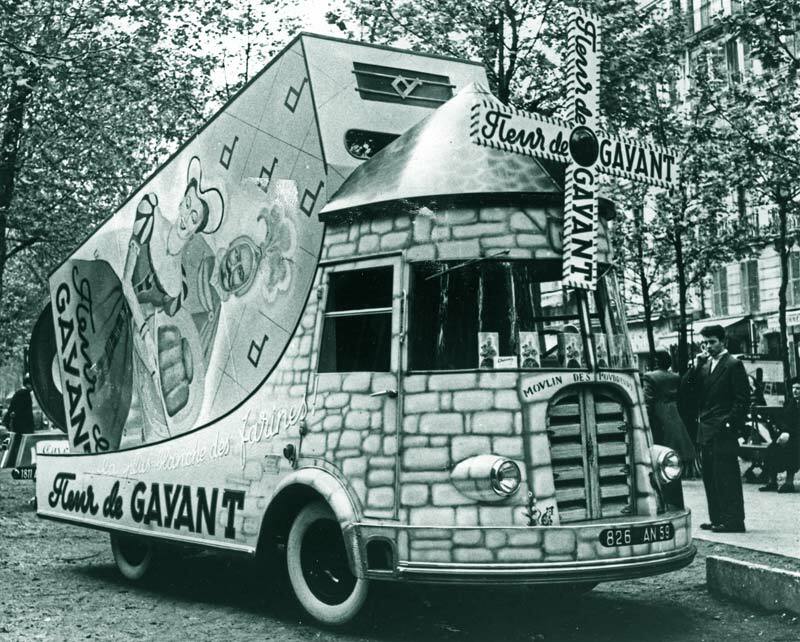 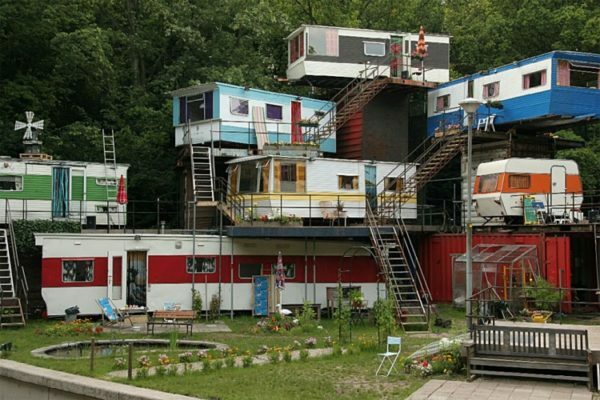 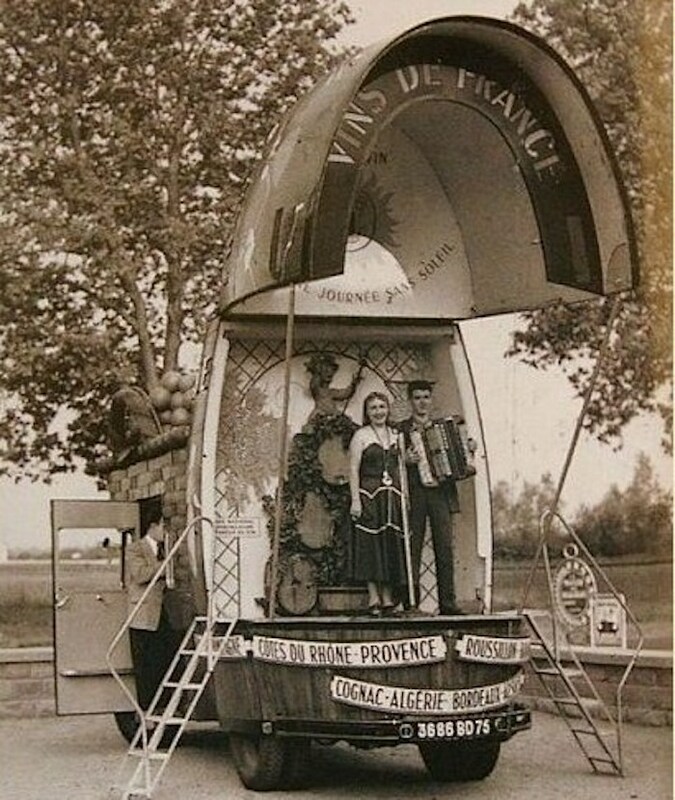 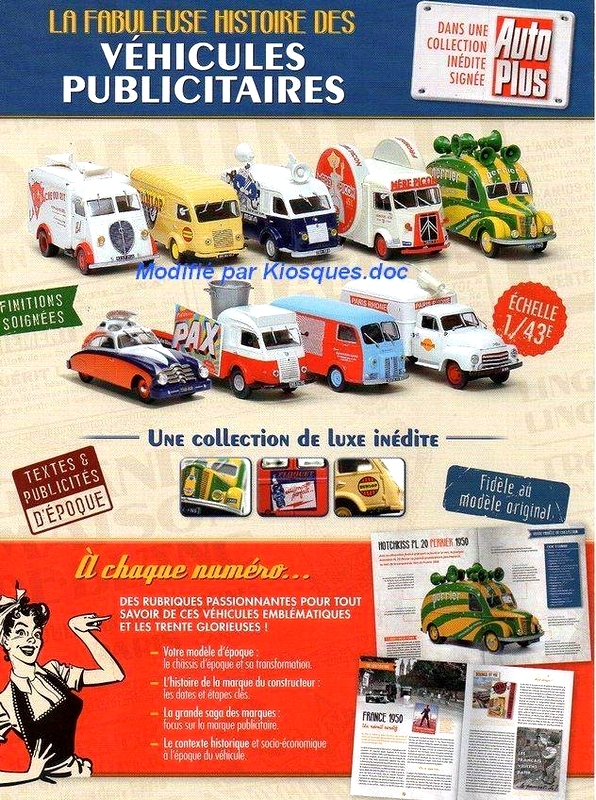 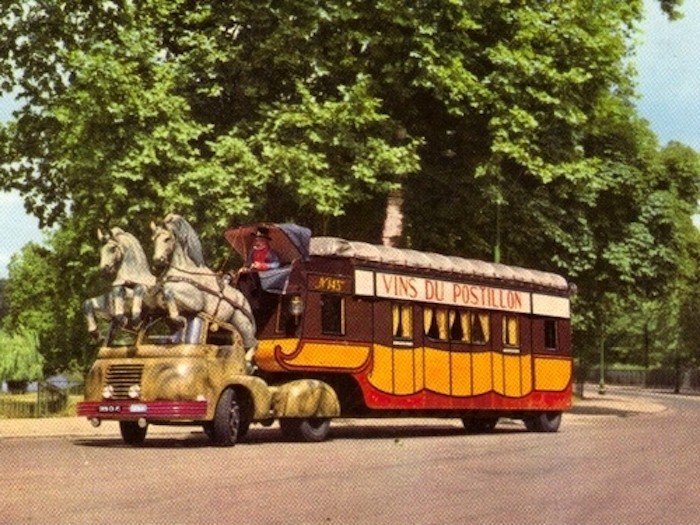 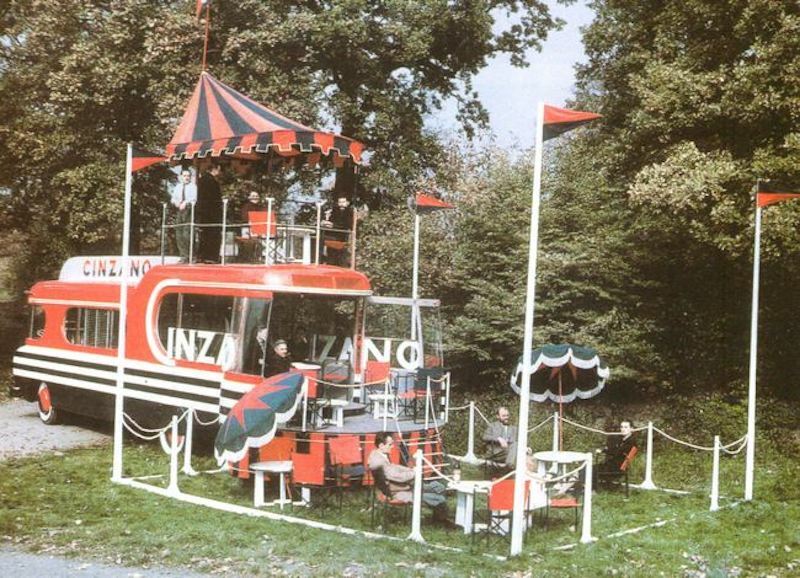 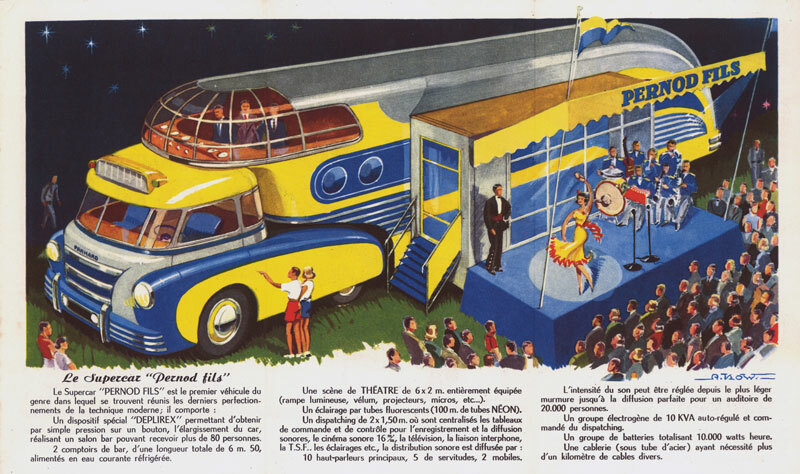 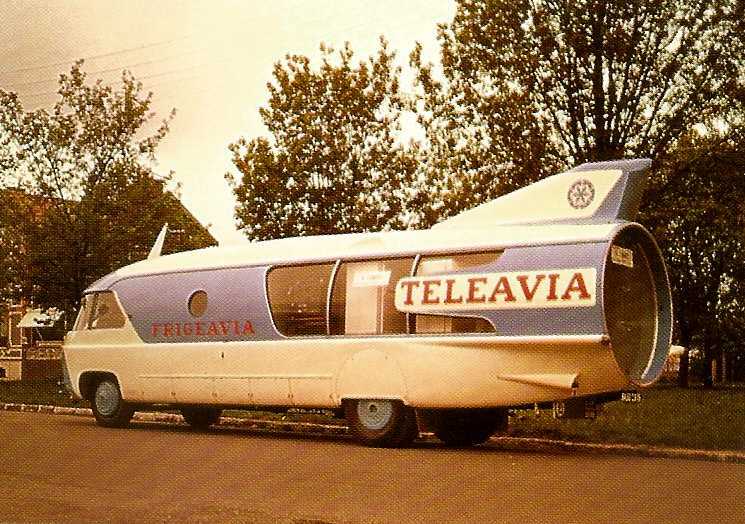 The caravans have become more and more extravagant over the years, eventually spawning an official competition for the best publicity vehicle. 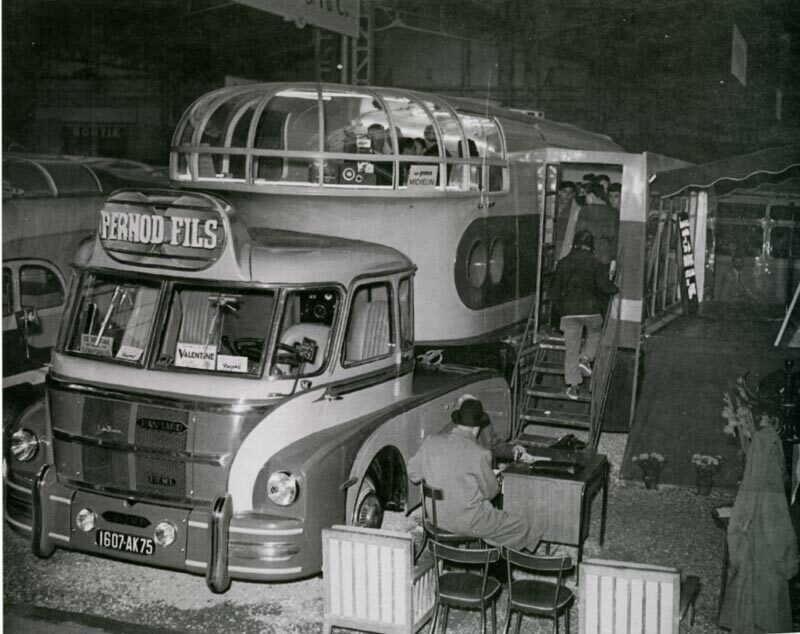 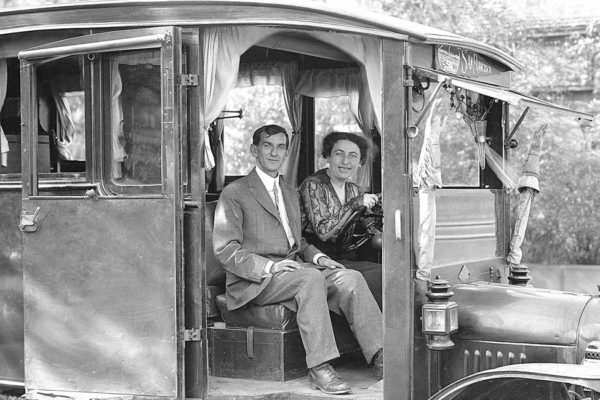 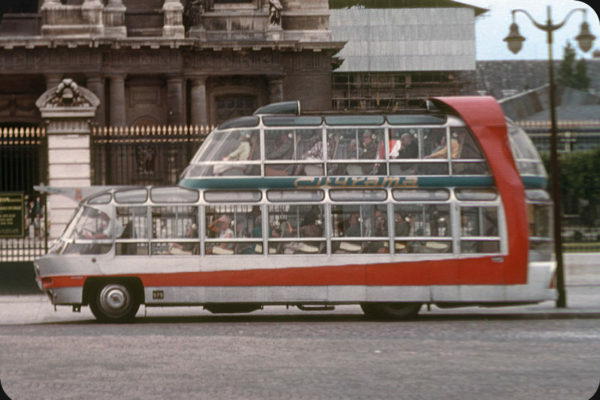 They were built by the great coach builders of the time, such as Heuliez and Augereau, mounted on standard chassis by manufacturers such as Renault and Citroen. 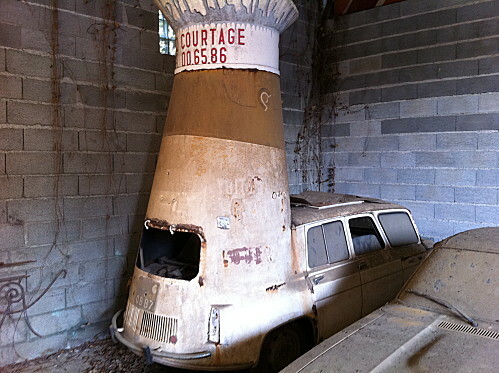 (You can find quite the stock on eBay).